All fishing trips use our 23′ Rogue Jet Chinook boat with a Mercury 225 hp outboard jet. James has worked with his sponsors to build the ultimate fishing boat. For example, our Rogue is equipped with Scotty downriggers, Lowrance HDS 12 touch screen sonar.Our tackle and gear consists of Cousins Rods, Shimano and Abu Garcia reels, Pline fishing line, Rocky Mountain Tackle, Berkley baits and Gamakatsu Hooks and more. 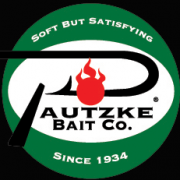 We use quality scents from Pautzke Bait Company. Safety is also number one, our boat is equipped with VHF Radio, Satellite Phone for emergency communication at those remote lakes, SPOT (Satellite Messenger). We not only have the Type 1 PFD’s as required by USCG but we offer the newest inflatable PFD’s. Check out our Sponsors and Affiliations Page!